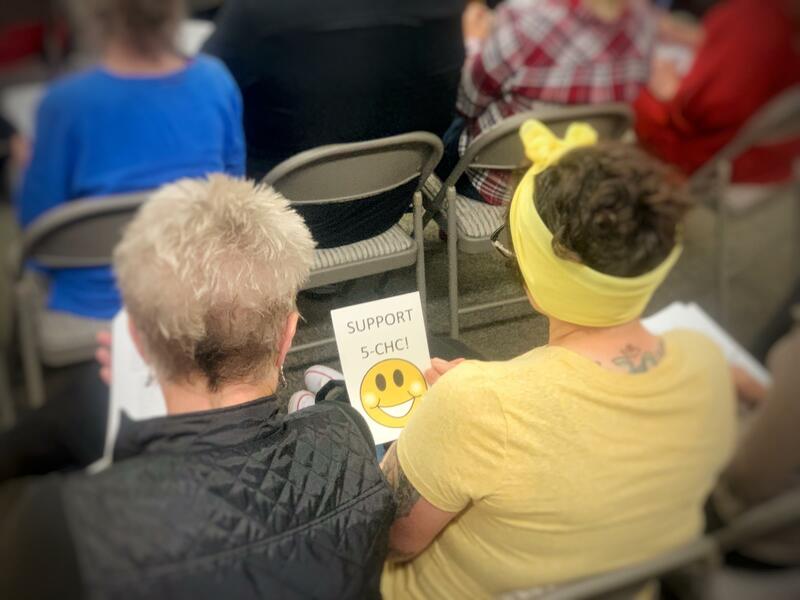 Homeless Services Oversight Council (HSOC) meetings don't usually draw big crowds, but Wednesday's was an exception as residents spoke for and against a plan to build a homeless shelter in South County. San Luis Obispo County officials, service providers, non-profits and residents gathered Wednesday to discuss what to do with millions of dollars in state funds, aimed at supporting the county’s homeless population. But the meeting became a passionate debate between recognizing a need for more homeless services, and concern over where to put them, particularly a shelter proposed in South County. In mid-January, the county received close to $5 million dollars in a one-time state grant called the Homeless Emergency Aid Program—or HEAP. It’s part of California Senate Bill 850, a bill former governor Jerry Brown signed into law in 2018 that offered hundreds of millions of dollars to California counties. The county’s social services department took bids from a variety of agencies, nonprofits and even cities, like Paso Robles, who want to use that money to increase homeless services. The department then created three options to dole out the funds across the county. Wednesday’s meeting of the Homeless Services Oversight Council, a planning and policy development forum for the county, was unusually full, as it was recommending where the HEAP funding should go. 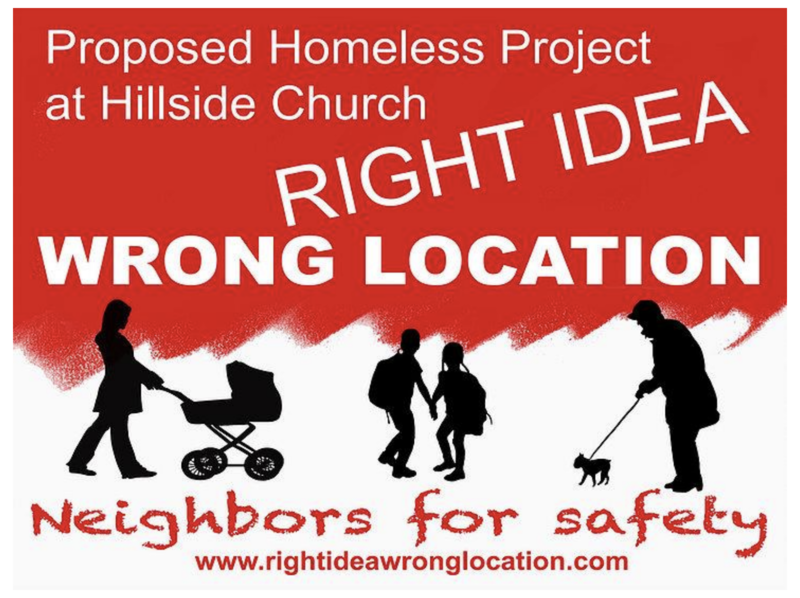 And one option in particular has become contentions -- $3.5 million dollars to the 5Cities Homeless Coalition, a South County nonprofit that’s proposing a new homeless shelter at the site of Hillside Church, in a residential neighborhood. Many residents, like Walter Mark, spoke out against it. “The way the process has gone for the 5Cities Homeless Coalition application has been less than than transparent to those of us who live in Grover Beach and [in] close proximity to the project,” Mark said. Residents who spoke said hundreds have recently signed a petition saying “Right Idea, Wrong Location,’ and that they didn’t know about the plan. Public officials, including the county’s administrative officer, apologized for a lack of transparency, citing a rushed timeline. But while many spoke up to oppose the project, many others, like Kathryn Sell, defended it. Signs like this one began showing up in Grover Beach recently to inform residents about the possibility of a new homeless shelter in a residential neighborhood. Ultimately, the advisory council voted for a new option that could award slightly less money to the 5Cities Homeless Coalition, but still enough purchase the property at the Hillside Church. In addition, the new option recommends $1.5 million to North County operations in Paso Robles, a detox center in San Luis Obispo, and funds towards children’s needs in the Five Cities area. The recommendations are scheduled to go before the San Luis Obispo Board of Supervisors on April 23. But at least one person who spoke up at Wednesday’s meeting said he planned to sue if the board approves the South County project.